BRP products are known to redefine any market they take on. 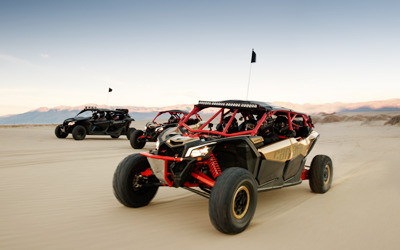 By combining maximum power, handling and traction, Can-Am ATVs are the choice of enthusiasts and professionals who drive them right to the podium. 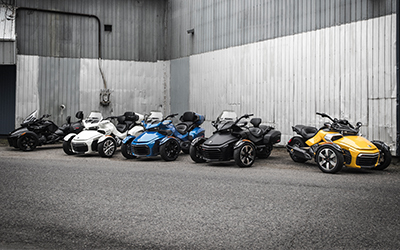 Can-am Spyder comes with its Y-frame design and seven automotive technologies like ABS, traction control, and stability control, which enables it to grip on the road tightly and enjoy a confident ride full of exhilaration. Sea-Doo is committed to providing ultimate fun on the water. 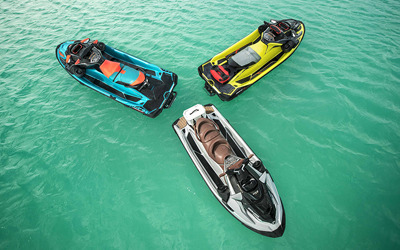 For more than 25 years, Sea-Doo watercraft have stood at the forefront of the industry. While offering a level of control never before seen on the water. Finally comes the Evinrude powerful engine which is designed for every type of boat application. The brand offers the most advanced outboards ever made, starting with high-strength pistons made with an aluminum alloy developed by NASA. In Power Sports we pay great attention to customer satisfaction, as innovation and passion are at the heart of our commitment. We brought BRP products to the flourishing Kuwaiti market to meet our customers’ eagerness for innovation. POWER SPORTS SHOWROOM You know where we are!